I hesitate to call this post ‘Spinach Shake” because it really just sounds nasty. So if spinach shake (or spinach smoothy) doesn’t sound appitizing to you feel free to use some of the names my kids prefer: Oobleck (from Dr. Seuss), green drink, magic potion. I got the gist of this idea from a good friend of mine after I had been highly unsuccessful at finding a veggie smoothy that my kids thought was edible. After a bit of practice I think we finally have it down. Although there is really no right or wrong way to do this, I have found the following recipe to be kid approved. 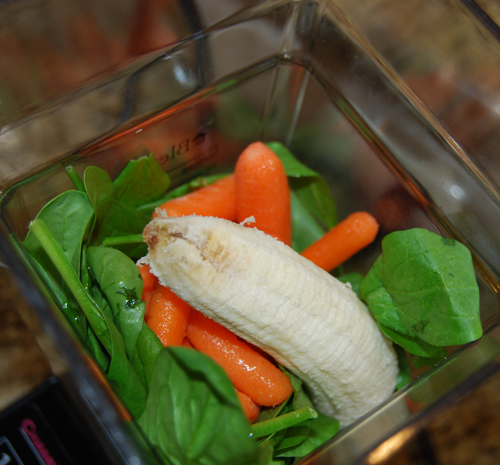 To a blender add; juice, spinach, carrots and banana. Blend well. Add fruit, vanilla and ice. Blend well again. Enjoy! 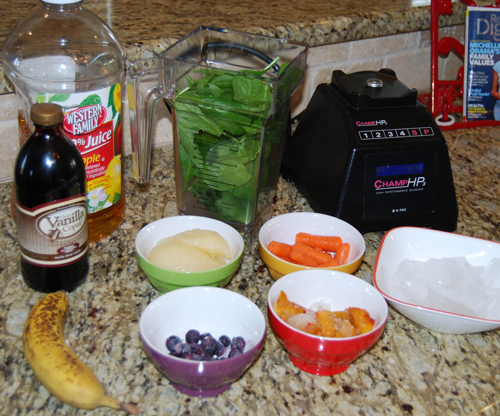 You can be creative with this shake but I think the banana is a MUST. Without it the texture can be a bit interesting. 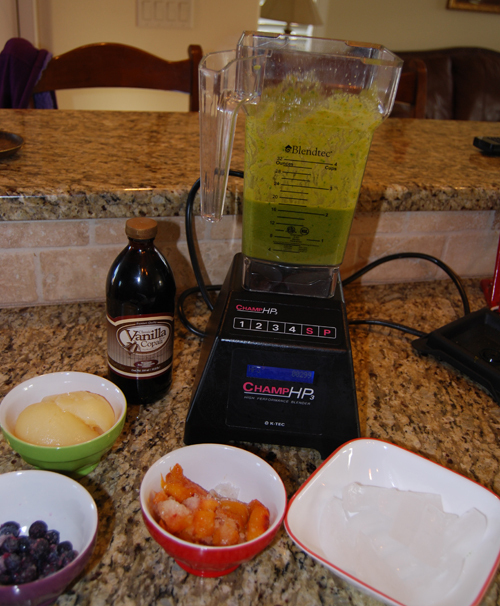 In this particular shake I used frozen peaches, frozen blueberries, and canned pears. You can also substitute kale or any other dark leafed vegetable in place of the spinach. This entry was posted in On the Stove and tagged Drinks, Paleo, Snacks.